Everyone wants a memorable and fun wedding, but throwing a great party costs a bomb and takes a lot of effort. Wedding decorations tend to bite a big chunk out of your budget. But, there is no reason why you cannot have cool decorations without burning a hole in your pocket. 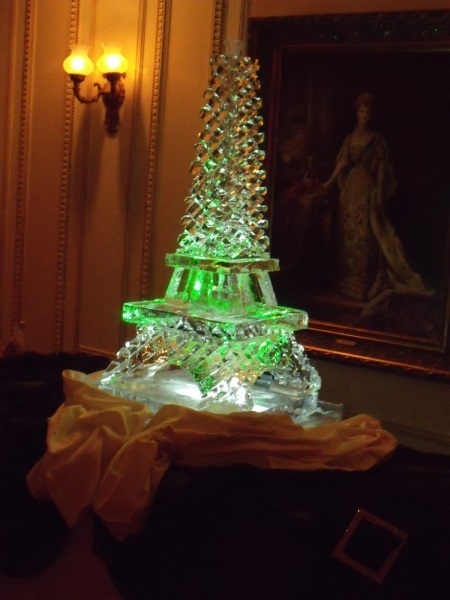 Ice sculptures, especially ones customized to match your wedding theme, can be a great as table decorations. While most of us have gone to weddings that have had ice sculptures or luges, unless you’ve been to a wedding decorated by a professional ice sculptor, you don’t know just how good ice sculptures can be. Let’s take look at five ice sculpture decoration ideas that can help you create a rocking, romantic and memorable wedding ambience. 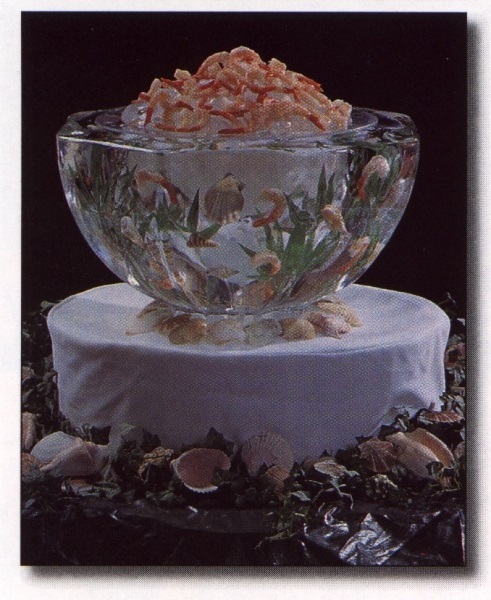 If you want the ice decorations to do more than just sit there looking beautiful, you can put them to use: ice bowls and glasses in all kinds of shapes and sizes can serve as the perfect vessels for the foods that need to be kept cool. But ice sculptures can get a lot bigger too. 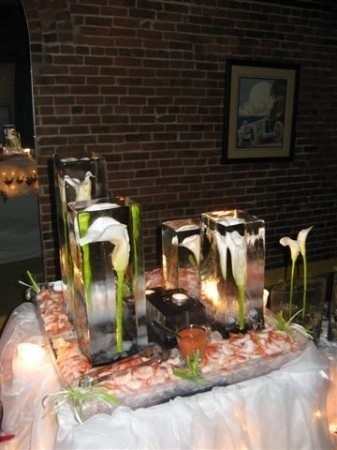 Why not take the cool quotient of your wedding one notch higher by make a whole bar from ice? Ice bars not only look cool, but they also help keep the drinks supercool. The best part is that you can choose any theme for the bar, and the ice sculptor will be able to shape it to your satisfaction. Add a few colored lights, and the bar will look magical. If a whole bar made from ice is too much for you (or if it is too less! ), you can think of using ice luges and ice-made shot glasses for tables. 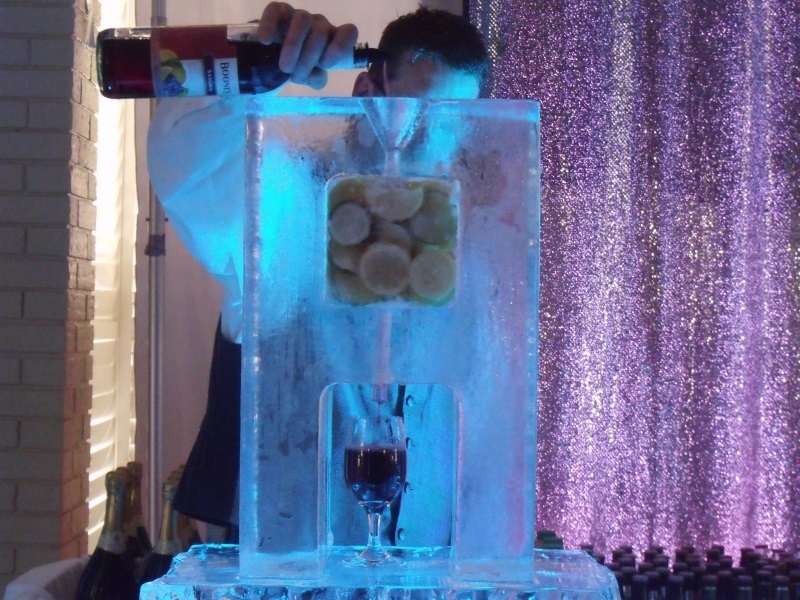 While the trend of large ice lugs is popular, you can also consider setting up smaller versions of ice luges for wedding tables, helping your guests enjoy not just hard drinks but also mocktail in the coolest way possible. Traditional, classic centerpieces are flowers – and they definitely add a lot of charm to the wedding. But, you’ve seen them at almost every wedding, and they are not exactly cheap. 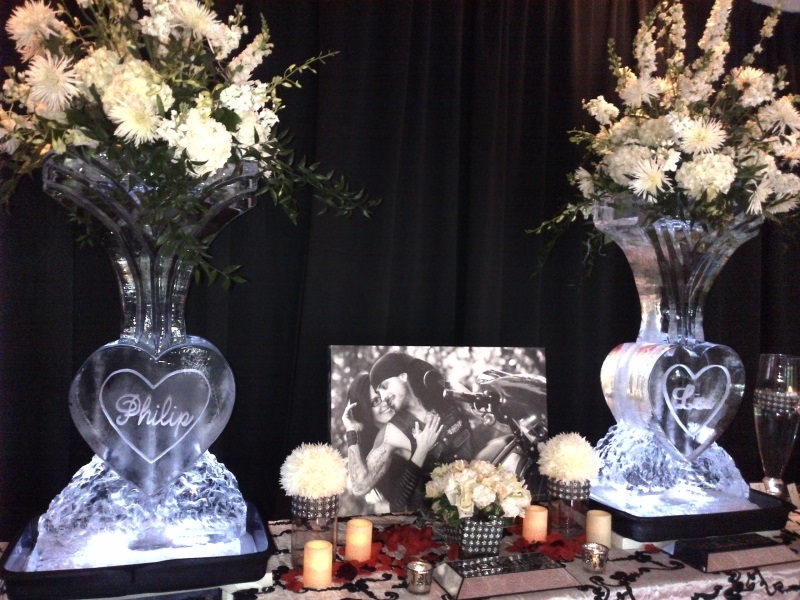 But, an ice sculpture centerpiece is not just different – it offers unparalleled customization opportunities: you could have a heart with your initials, you can use the ice sculpture as a receptacle for flowers, or you could have any shape that symbolizes your relationship. Want more ice sculpture decoration ideas for your wedding tables? Why not talk to a creative professional? and see what’ll work best for your wedding! Dreaming of a Star Wedding? Decorate it With Ice!